A well-constructed roof is by far the most critical component of a home’s construction. Atlantic Coast Property Solutions can ensure that you have a safe, weatherproof roof on your home. Protecting your home’s frame and foundation from water and ice damage is one of the most important things you can do as a home owner, especially given our unpredictable New England weather. We are certified roofing specialists with decades of experience in roof installation and repairs. Maintaining a roof and keeping it in peak form throughout its life will allow for a longer lasting product and a safer home. At Atlantic Coast Property Solutions, our roof repair contractors can fix any roofing issue. No roof lasts forever. After years of weathering the wild climate of New England, your roof might need to be replaced. 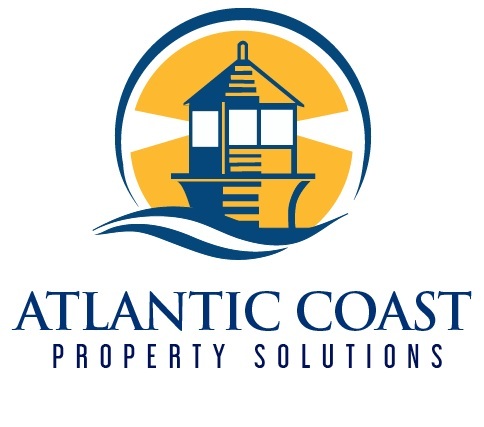 If your roof needs replacing, Atlantic Coast Property Solutions is here to help. 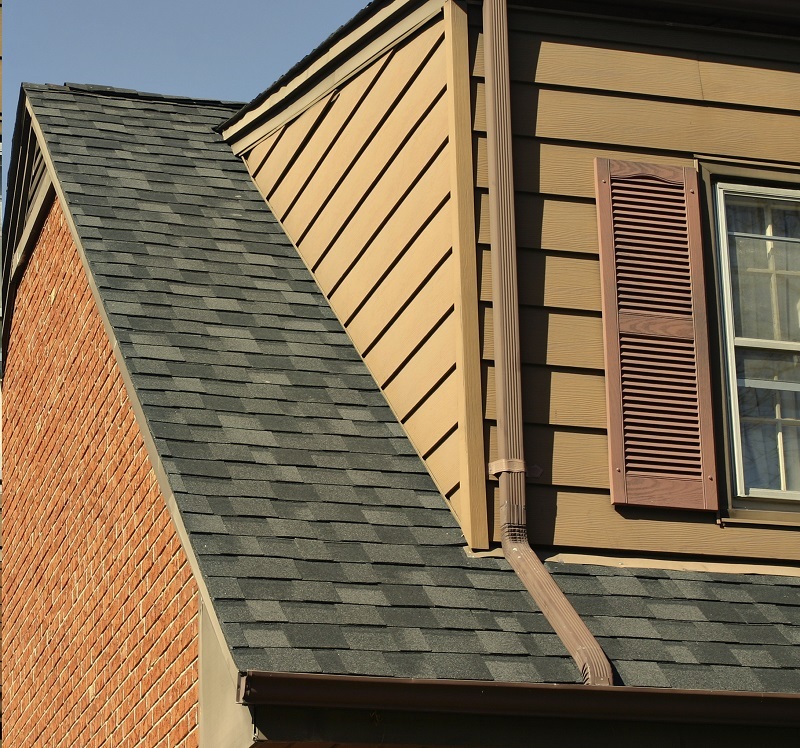 As roofing specialists, we provide a superior experience from start to finish. Replacing your roof is an investment and one of the best ways to protect your home and those you love for years to come. Our heated, covered gutter protection system ensures rain water, ice and snow melt always has a safe way to run off of your roof. Those dreaded ice dams happen when snow and ice begin to melt and that water no place to go because the gutters are jammed with snow and ice. If that ice melt re-freezes under your shingles, leaks and damage occur. Using safe and simple low voltage heat coil technology and the sturdiest gutter covers available on the market today, we can eliminate the chance of ice dams- and the work is guaranteed for life. Added Bonus: You will also never have to clean your gutters again. Gutters will be completely cleaned free of leaves, dirt and debris. Sturdy aluminum Leaf free gutter covers will be installed to gutter system. A low voltage heat coil will be installed inside the gutter sections, downspouts & valleys where ice and snow collect. Cleaning: First we’ll thoroughly clean all gutters and downspouts to remove all leaves, dirt, and debris. 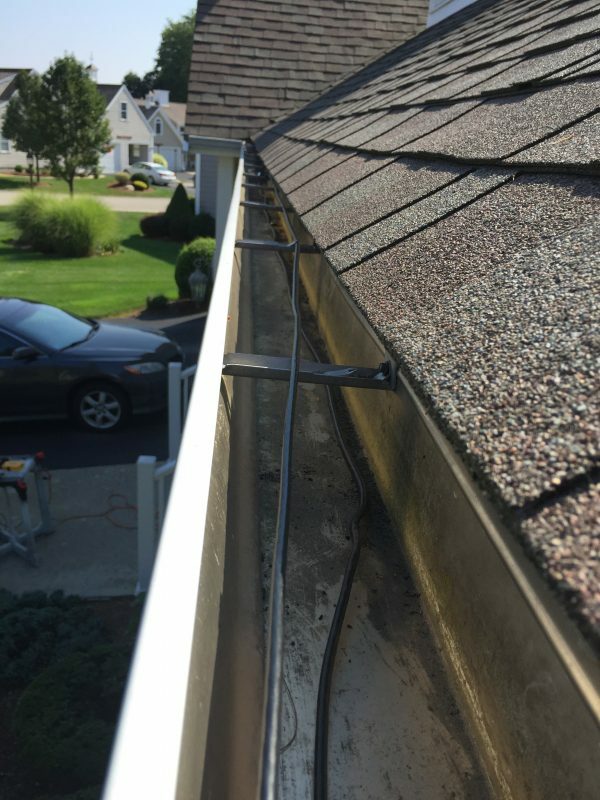 While cleaning, we will make sure all gutter brackets are securely in place for every two feet of gutter line and downspouts every 10 feet according to industry standards. Install Low Voltage Heat Coils: Once the gutters and downspouts are completely clean we will install low voltage heat coils inside the gutters and downspouts to prevent against ice build up inside the gutter system. Install Gutter Covers: Next we will expertly install interlocking, aluminum leaf free gutter covers to the entire gutter system. The heat coils and leaf free gutter covers will protect against ice dams by making sure there is always a clear unobstructed path for ice melt to travel when a thaw occurs after stretches of cold, wet weather. Leaf free gutter covers have a sturdy aluminum design that are custom matched to your roof color. It’s perfectly engineered to keep leaves and debris out of your gutters while also diverting the water flow from rain and snow melt. The four foot sections are custom cut to fit perfectly and interlock for strength and stability. Complete: Once installed your gutters will be permanently protected against clogging and ice dams, for life. All workmanship is guaranteed for five years. This ensures the system is working as intended.